See more objects with the color black darkslategrey lightcyan lightsteelblue darkslategrey or see all the colors for this object. This is a Fragment. It is dated 19th century. 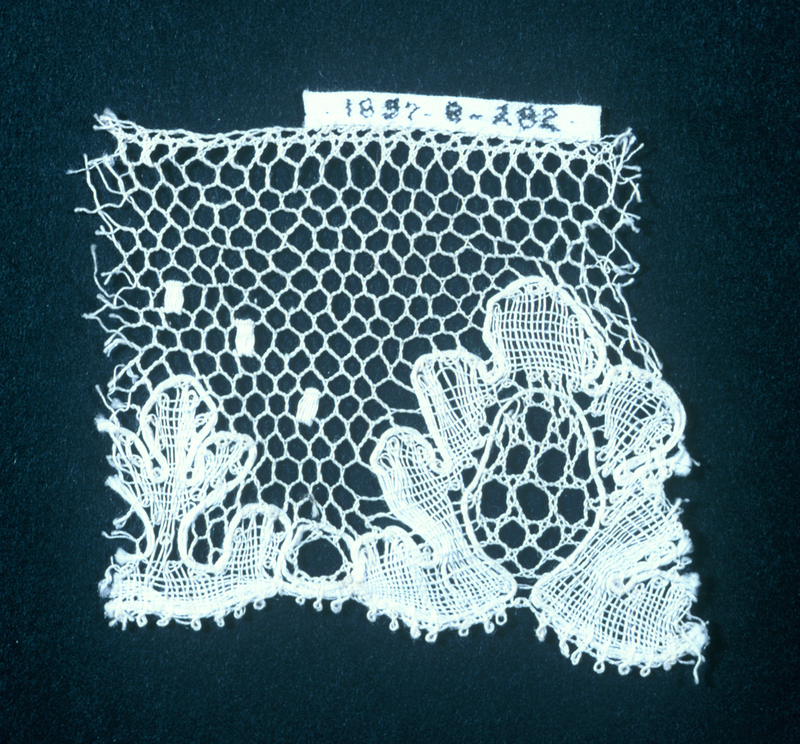 Its medium is linen and its technique is bobbin lace made in lille style with heavy outlining thread. It is a part of the Textiles department.